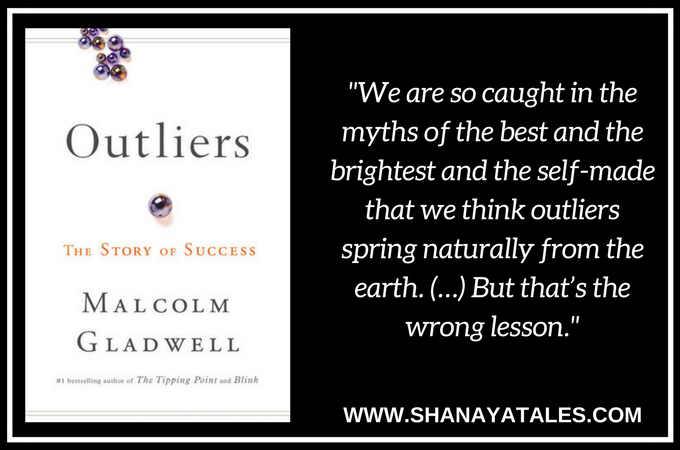 In Outliers, Gladwell casts his inquisitive eye on those who have risen meteorically to the top of their fields, analyzing their legacies, opportunities, and their particular place in history, searching for a common thread. The thing that I really liked the most about this book, is the diversity of the examples that he draws from- ranging from Canadian hockey players to enterprising Jewish immigrants, to software programmers, to Korean Pilots, and even Chinese rice farmers. The concepts that he discusses in this book are not new. At one point, I felt like he isn’t telling us anything we don’t already know. Like the fact that, opportunity is key, practice pays off, success breeds success etc. However, the author’s lively storytelling, and infectious enthusiasm makes it an engaging, perhaps even inspiring, read. The only thing that I was disappointed in, was that some of the facts presented in the second half of the book are not completely accurate, and in many instances he overstates his case, and tries to draw parallels that can be believed only after a significant stretch of imagination. Interestingly, the most important insight that this book provided to me was in parenting. He speaks about how the education system in US is structured, and how a sense of entitlement in kids (in a positive sense of the term) will help them be more confident, well rounded individuals. All in all, Malcolm Gladwell is a professional writer, and not a professional researcher. If readers keep that in mind, they won’t be too bothered about the method or originality of the research. His job is to tell a story, which he does exceedingly well. He has a talent for making the ordinary and the mundane sound new and exciting. This book provides most things that I look for in the non-fiction genre: to learn something new and interesting, and to give me something to think and talk about. If that is all that you are looking for, this book might make a good addition to your shelf. 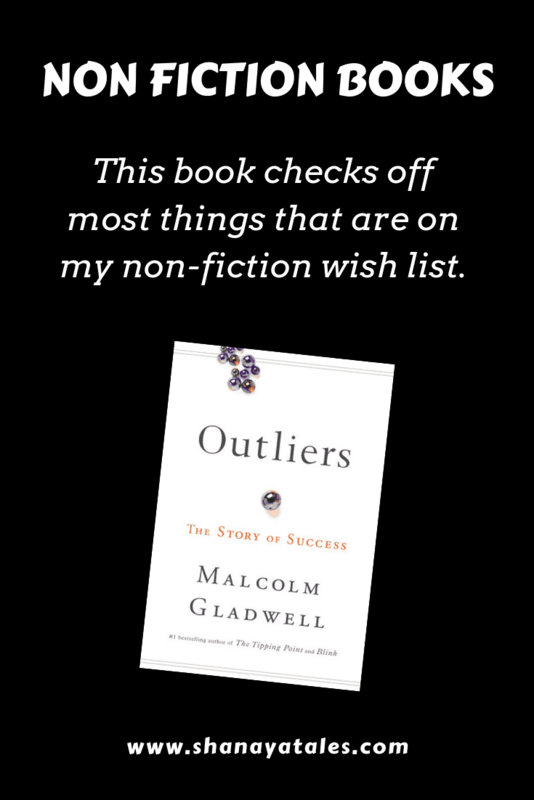 Malcolm Gladwell argues that there’s no such thing as a self-made man, and that super achievers are successful because of either their legacies, opportunities or their particular place in history. Do you agree? A very well written post. In my opinion, legacies and opportunities won’t matter as much if there is no human will and effort. It is said that Choices you make; make you. So, I think making a choice and following through with tenacity is as important as having that choice. So I would give more credit to the high achievers for their efforts and less to other external factors. Thank you. 🙂 Yes, I believe that opportunities and legacies do play a role, however you cannot discount the power of human will and effort. 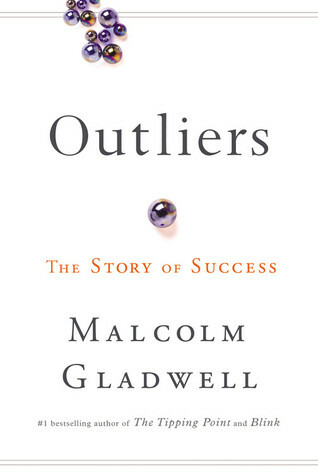 Outliers is among my favourite books. I love the examples he uses, the 10K hour rule etc. Great read. Liked your review as well.